August | 2013 | Agile KM for me… and you? I was never trained on KM. I just learned it by doing. Errrr, I am learning it by doing. There’s many ways that one can think of elements to include in a KM training, so I’ll start with my favourite order: random – spur of the moment-like. A first brush to peel this onion, to unravel the little patterns that gild this golden question. That’s step 1. Understand we work with complex networks and agendas and have to realise where we find ourselves. 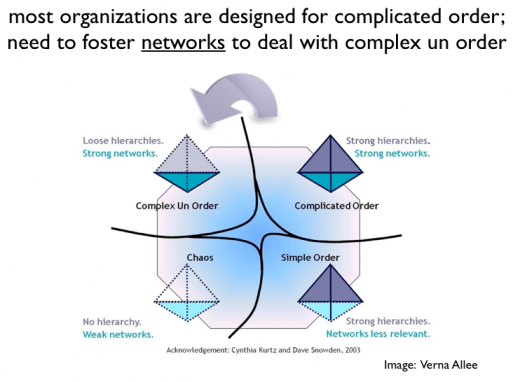 The Cynefin approach that is at the heart of ‘The social imperative‘. Without that basis, no way agile KM can work, because it will become a world of hammers and nails. However fancy fluff ‘big data‘ might end up being, the key lesson of it is to ensure content can easily be aggregated and processed, and that goes through tagging and meta-tagging. That’s where taxonomy (an ordered collection of tags, usually centrally) and folksonomy (the crowdsourced version of a taxonomy) come in handy. Invest in ways to help data-crunching at a large scale, but also at a human scale through social media keywords, tags and handles. Agile knowledge management has a lot to do with social processes (of social change) so a good understanding and command of how to facilitate such processes comes in order. That’s why a toolkit like the Knowledge sharing methods & tools: a facilitator’s guide (and the many more that exist out there just to think of a few here). Perhaps that’s the essence of it all. How do we bring together all the elements above to conjure up the conversations that help us make sense of the world around us and to act in it? What is learning again? A whole area of work that brings together personal knowledge management, social learning, organisational learning etc. not least through the engagement families. Agile KM has to focus on added effectiveness through learning and other means. Agile KM is no longer about keeping information just in case, it’s about moving collectively towards agile groupings of people, who can proactively anticipate upcoming changes and react promptly to unanticipated changes. It’s about unlocking the potential to innovate, via feedback loops (see this recent ‘How Feedback Loops Can Improve Aid (and Maybe Governance)‘ on this). 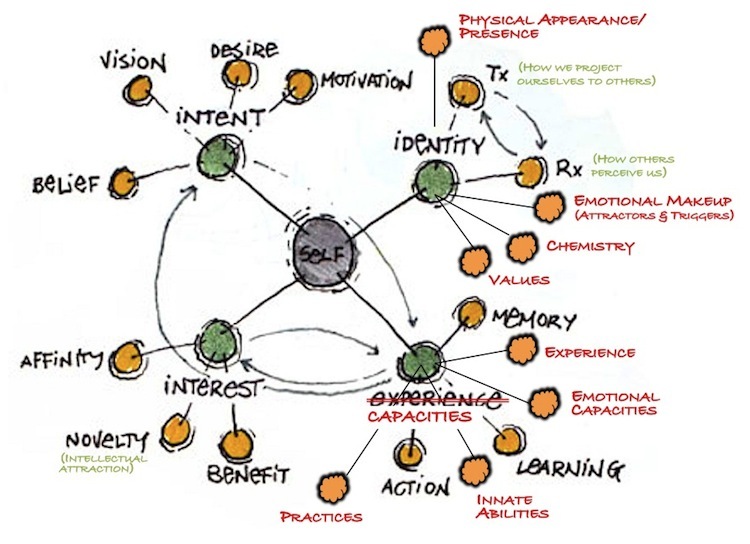 So how can KM unlock our individual and collective capacity to innovate? A KM training course surely hopes to equip trainees with means to implement (agile) KM in their own setting. But how do you know whether this works? Through assessment, monitoring, evaluation. All that stuff from social media metrics to impact assessment. That’s done through learning, and connecting dots, bringing reflection and analysis closer to action. Feedback loops again. But that’s the only way to get good. That and the proverbial 10,000-hour rule. And luckily, there’s plenty of good references about this – see this stock-taking selection. Ok this one is for the development & cooperation knowledge workers, not necessarily those working for private businesses. But what point is there in agile KM if not to improve the world or prevent further damage to it. So that goes through understanding what makes up identity and the formation of collectives on that basis i.e. what brings people together, the kind of stuff that Dave Pollard recently blogged about in his excellent blog ‘How to save the world‘. At the heart of it, the concepts of empathy and trust become prerequisites to joint action and social change. So as mentioned in prelude to this post, this is only one take about what to include in a KM training. I could also do it from the perspective of modules, of disciplines that come into play, of scales that matter, of approaches and tools that make this work… Perhaps a whole series of blog posts is just emerging here, shaping an ever-changing repurposing of training materials. That is also what Agile KM is all about: reuse past stuff, but do it in new and ever more meaningful ways. The topic of ‘Blogging’ is a phoenix in the blogosphere. Blogging about blogging keeps emerging and emerging and reemerging. No later than this week again, only in my personal learning network I spotted Euan Semple’s piece about ‘How writing a blog can make you a better manager‘, while Ian Thorpe was reflecting about the value of keeping a journal, like a blog [and even more recently shared these 10 tips for bloggers]. Perhaps it’s the welcome mental break of summer holidays that makes bloggers reflect about one of our favourite reflexive activities: BLOGGING. And so, after over five years of blogging and over 182 published posts, I thought it might be a good time also for myself to look back at the art of blogging. Not so much what I make of it, because despite past experience I have a lot to learn about blogging still and I already blogged about my blogging here and there. Another short video where life2.0 guru Seth Godin and fellow interviewee Tom Peters share their point of view as to why Blogging matters and how it has affected them deeply. Great inspiration to get started, from one of the very few bloggers (Godin) who blogs successfully every day. Blog post checklist for great authors (Aug. 2013): The latest resource I came across, filled with excellent guerilla tips to outsmart typical blog (and other bloggers’) traps and ensure blogging leads to action (yours and others’). Perhaps the best series of tips and tricks in this selection. 12 blogging mistakes (Aug. 2013): what not to do with your blog to avoid making it useless. Great no nonsense tips that move away from the ego-logy a bit. 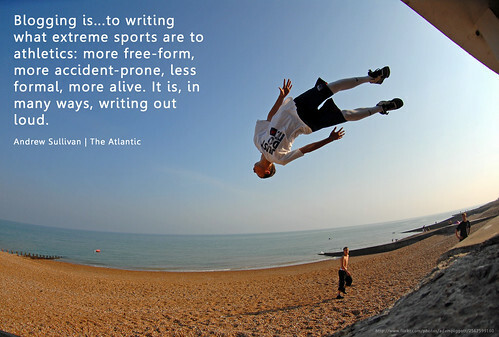 I particularly like the advice to do away with ‘Blah’ posts and to come up with more ‘wow’ content. I hope I’m applying this lesson better now. 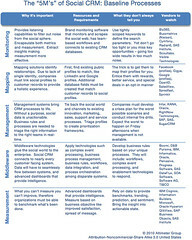 23 essential elements of sharable blog posts (June 2009). Very short list of very good tips to prepare useful and usable blog posts. This one is so short and so relevant that despite its age it was difficult to avoid. The absolutely foolproof blog post checklist (Feb. 2013). A great series of technical tips to make sure that the content on your blog is fool proof. I found this resource via Jurgen Appelo’s resource listed above and its peculiar focus on technical blogging makes it stand out as a great resource. Tips for conference bloggers (Jan. 2008): Live blogging is tricky. Here’s a series of useful tips to make it work. Probably worth a revamp but the core of the tips is still very much valid. This has been compiled with experts in the field of social media such as Beth Kanter and is essentially a short guide available in PDF format. Blogtips (ongoing blog): Peter Casier is an experienced social media enthusiast who’s set up this blog full of advices about blogging and more. He may not update this blog every month but he has been updating it over time and this place remains a good place for blogging tips, particularly for those of you working in global development. Peter leads major social media campaigns for agricultural research consortium CGIAR in major global events. Three things you should know about blogging (July 2013). Steve Wheeler explains three important pillars of blogging to help you make the most of it. Ian Thorpe (KM on a dollar a day) with ‘Personal professional blogging – what I’ve learned‘ (Feb. 2013). Ian Thorpe is a blogger I follow avidly and respect enormously for the clarity and potency of his ideas. In this post he provides a good overview of the type of blogs (and bloggers), various tips, types of posts that can be used and a list of other bloggers to look up to. A great complement to this stock-taking post. Mike Shanahan (Under the Banyan) and ‘Why blog? Ten things I learned about blogging this year‘ – Dec. 2012). Mike is giving really fresh advice, not (just) the typical advice you find about blogging. Like his ideas of repeat visits to past posts and the fact that speed matters – seize opportunities. This proved true for me with a recent summary of a KM4Dev discussion on lessons learnt while the discussion was just about petering out. Irving Wladawsky-Berger ‘Blogging and personal feelings‘ (March 2012). A very blog-like account of how blogging has become a really important part of life of Irving and how it resonates in his work. Harold Jarche (Life in perpetual beta). Another one of my favourite bloggers. In his piece on ‘Net Work skills‘ (March 2012), Harold talks about blogging and other skills but refers to blogging as a central engine for conversations (themselves a central piece in the networked world) and mechanism to speed up serendipity. A great testimony of how blogging can make a difference. Marc F. Bellemare (Agriculture, development and food policy) and his post on ‘What I’ve learned from a year of blogging: advice for would-be bloggers‘ (Jan. 2012) I selected this post because it is particularly useful for new bloggers or wannabe bloggers. Marc reflects back on one year of blogging and offers simple but useful tips to get started. Steve Wheeler (Learning with ‘e’s). Steve Wheeler is a wonderful learning and education blogger and he explains in ‘Life thru a lens’ (Aug. 2013) his experience with vlogging – or video blogging – as a great complement to his ongoing blogging practice. Duncan Green (From poverty to Power). A very prolific blogger, Oxfam’s Duncan Green is a real thought leader in his field, sharply networked and with real passion and objective detachment at the same time. His blog is one of the best examples, in global development) of what can be achieved with a blog once the author behind is smart and well connected. 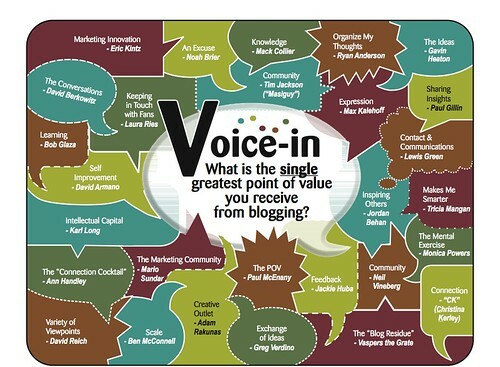 A must-visit for influence blogging. In the KM world, Nick Milton from Knoco Stories has been blogging on a daily basis with unrelentlessly good advice. His way of blogging is interesting because it is a real challenge to keep up with such daily discipline. I like the references he makes to other posts from his long blogging experience. And finally Susan MacMillan, an ILRI colleague who has been blogging prolifically, with rather long posts though very detailed, full of passion and quotes and facts and questions. It is a peculiar style; some people don’t like it, some love it. I find it really an inspiring ‘other’ way of blogging than most blogs I follow. See some posts of hers on e.g. ILRI Clippings and ILRI news. (Your audience) Engage with them, work with them, comment on their blogs and respond to their comments quickly, share your posts actively on other social networks, link to other blogs and content (from you and others), use your blog as basis for much wider engagement. Now – what are your favourite blog posts about blogging, the why, what, how and all the rest of it? What have I missed out here? And what might you do about blogging yourself? Other stock-taking posts: Assessing, measuring, monitoring knowledge (and KM) – Storytelling – Network monitoring & evaluation – Learning cycle basics and more – Capacity development. Find the resources mentioned in this post and other resources about blogging in my Del.icio.us bookmarks about Blogging. Managing contacts, as impossibly as knowledge flows? I promised myself never to deal closely with a customer relationship management (CRM) system ever again. Back in my IRC days, I did end up in that position and came to know about all the horrible details that make CRM any information manager’s worst nightmare. The data CRM is concerned with is most fluid of all: people. Human beings. In all our complexity and idiosyncrasies. We change organisations, we move positions, our teams are restructured, our competencies and pet-topics evolve over time. We live, we change, we make tracking our every move quite difficult, whether intentionally or not. What of modern workers who live across two or three locations, use up to seven email addresses and are actually better reachable by Yammer or Facebook than by phone or email? Where does all this complexity sit in a CRM system that wishes to remain simply usable? We tend to need a point of contact to manage the central system, but then that means we abdicate our sovereignty over our own network, and our ownership into keeping the system up to date. It’s the brother bugger of letting chaos in by allowing everyone to manage the CRM system. And how much time are we *really* happy to invest in tagging business cards with all appropriate and relevant attributes for a given record, the kind of ‘intelligence’ that makes the difference between a contact entry and a strategic contact that allows us to DO something with it? Not much, likely. I never sat longer than 10′ going through business cards I had brought back from an event. Organisations are sometimes based in various countries. Their name changes, the letter at which they’re registered may change too, their acronym changes – though not always. Despite elaborate protocols to sort lists of contacts and organisation names in a logical manner, it remains extremely difficult to keep all records up to date. Whatever the CRM system is, however it works, however up-to-date a system once is, in no time it relapses into the dangerous waters of 50% quality 50% garbage – and soon dips further down from there. So it happens that I haven’t (yet) come across any (development) organisation where CRM worked well. But recently I talked with a colleague who was telling me that her previous employer was using SalesForce CRM to great success. And I came to think again about it. The colleague was working for a private sector business and then the obvious dawned on me: There can be no really successful CRM system among development organisations, so long as there is no financial/business incentive to keep the database up to date. B) that probably most development organisations still start from their own perspective to reach out, rather than from their partner/beneficiary/donor/patron and customer relationship perspective. The likes of Outcome Mapping are luckily tilting the balance towards our boundary partners but by and large we fail to really . The same wishy-washy story as with partnerships. We’re befuddling our own most precious resource together with our skills and insights: the people we work with and around. If this era is truly social, truly we should zoom back on our key contacts, and our CRM would follow. So perhaps managing contacts is not as impossible as knowledge flows, it’s costly and time-consuming and messy and complex, but it’s the price for quality work made with a quality network.